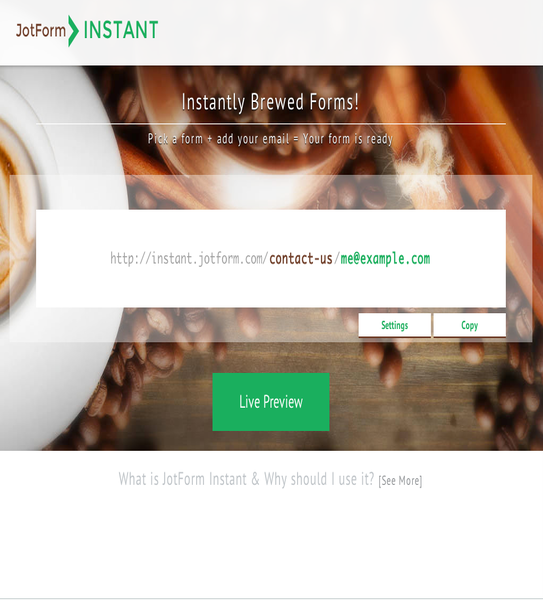 JotForm Instant is the quickest way to create web forms. No registration needed. No form building tools required. 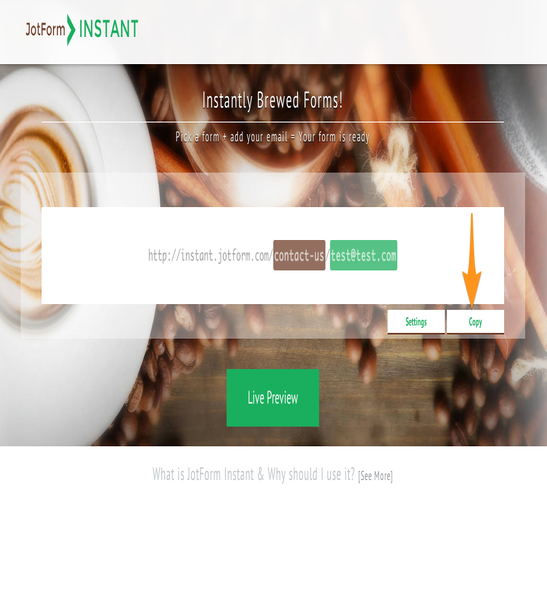 Take any JotForm Instant form and simply change the email address on the URL. That's all! 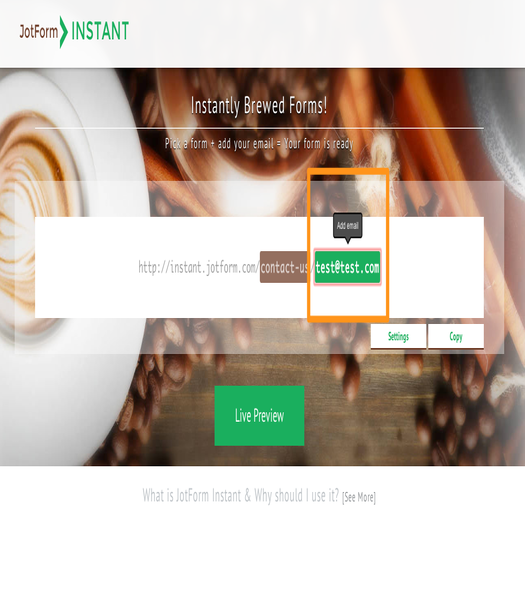 The form will now send emails to you. Awesome! 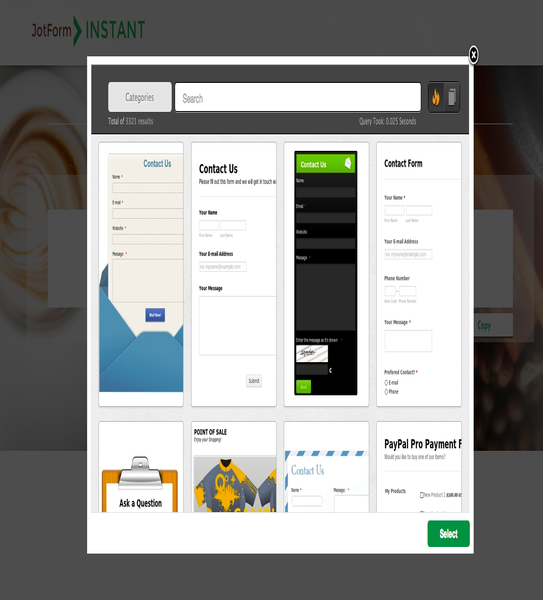 tons of uses for the Instant functionality.